This game was no joke…34-10 Titans, and the score absolutely represents reality. The question is – was this just ‘one of those games?’ or a sign on the Patriots? We’ll get back to that. The Titans returned the opening kick to midfield to give a spark, and the marched right down the field for a 7-0 lead. New England answered back with a field goal, 7-3 Tennessee. Soon after…it was 17-3 Titans, and you’re like, “What the what?” Pats made it 17-10, and you’re like, “OK, Brady’s got this.” But then Tennessee scores and ends the half up 24-10…and in dominating, unafraid of the Patriots fashion. Down 24-10 at the half, we were all sure the Pats would get back into it and takeover/the Titans would crater and it would be a typical false hope upset event against New England. The Patriots never scored the rest of the game. 27-10, 34-10…and then, I can’t see so good…is that Brian Hoyer at QB? The Patriots threw in the towel and the Titans rejoiced. I did not see the Titans trouncing the Pats like this, no one did. Two great weeks of Tennessee play, which means, now that the public is buying in, they will probably shock us again by getting trounced this week. I hope they do, selfishly…because they play at Indy. The winner of that takes the lead in the pursuit of division leader Houston. I bet $$ that Indy would win the AFC South a few weeks ago when the odds were sweet. Houston keeps winning, luckily, so the Colts have no breathing room -- they need to beat suddenly beloved-by-the-public Tennessee. Assuming the Titans fall to Indy, they would be 5-5 with a do-or-die game at Houston the following week. We project Tennessee will now lose two in-a-row, fall to 5-6…but then win three in a row (NYJ, JAX, NYG) to get to 8-6. Their final two games are home with Washington and Indy. Beat Washington and they might get the AFC South right there. Or Week 17 may be for all the marbles against Indy. They can take the Colts out of the equation and be a near-lock for the AFC South by beating Indy this week. Huge Week 11 game. New England just lost their cushion to stay ahead of KC for the #1 seed. Another loss in the next few weeks, and their focus will turn to Week 15 at Pittsburgh for fear of not even having a BYE week in the playoffs – a very real possibility because this is a very weak Patriots team. Still Super Bowl contenders, but not the juggernaut…or favorite. We project the Pats to 11-5…losing to the Steelers Week 15 and losing out on their playoff bye. This continues to be the worst Patriots team I’ve seen in my decade of studies – this loss was a sign of the problems, not a blip event. -- I’m starting off with a player I did not think I’d be talking about first…ever…2nd-year TE Jonnu Smith (3-45-1/3). I gotta say…he looks fantastic. Totally yoked out/bulked up with a nice spring in his step. He looks like if Delanie Walker fell into the Fountain of Youth and grew a couple of inches. Early in the season, I didn’t really worry about Smith because he wasn’t involved enough to notice. 2 catches on 8 targets his first 5 games. That’s all changing of late. 8 catches on 9 targets his last four games. His last three games he’s moved from 0-1 catches in games to 2-3. The last three games (in order) of yardage totals for Smith: 11, 33, 45. He’s climbing the ladder. Also, a TD in each of his last two games. What’s been so impressive…the way he’s moving in the passing game. He’s out-running linebackers. He’s shedding tacklers. He’s giving Mariota a reason to throw to him. I don’t trust this passing game AT ALL, but I’m also TE desperate in places. I’m watching. I don’t think he’s going to FF-matter after the byes, but…maybe. I’m watching. A deep sleeper in deep roster leagues with trouble at TE. He’s a great option for Mariota to play intermediate with instead of always trying to throw to Corey Davis. 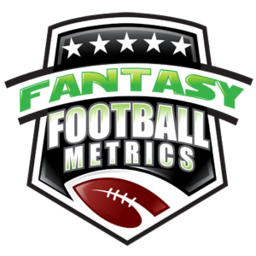 -- After a lot of dull performances this season…solid, but FF dull…Corey Davis (7-125-1/10) has 6 and 7 catches in his last two games and 10 targets each contest. When Mariota’s hot…Davis is great. Unfortunately, every time Mariota gets hot…he soon falls apart for a few weeks after and goes on a roller coaster – and Davis goes with him. Davis has been under 65 yards in seven of his 9 games this season. -- Marcus Mariota (16-24 for 228 yards, 2 TDs/0 INT, 2-21-0) is starting to heat up. 5 TDs/1 INT in his last three games. 2 TDs/4 INTs his first five games before that. You might rather have Mariota than Tom Brady (21-41 for 254 yards, 0 TDs/0 INTs) for the ROS in fantasy…Brady has 1 TD/0 INTs the last three games combined. The numbers keep sagging. He’s still a great NFL QB, but his top fantasy days are fading away. You’re likely not winning fantasy titles with Tom Terrific at the helm. -- The lack of a running game doesn’t help Brady…Sony Michel (11-31-0) wasn’t much of a factor here. You count on Michel delivering short rushing TDs for fantasy goodness…but those opportunities might not be as prevalent as they have been in the Pats past. We’ll see. The schedule is very choppy ahead. I’m mostly a ‘sell’ on Michel, have been all season since he got his starting job. -- Back from the dead RB Derrick Henry (11-58-2) scored 2 TDs and the world rejoiced. I wouldn’t get too excited. This is Dion Lewis’s (20-57-0, 2-11-0/2) backfield – 20 carries for Lewis here. -- Josh Gordon (4-81-0/12) looks very competent, but I still see him rarely separated from coverage…and Brady just doesn’t have the ‘it’ on his passing touch like he used to. Gordon’s arrow keeps point down…as Brady starts to sag. -- The Patriots defense really isn’t very good…one of the lowest in sacks and bad in 3rd-down percentage. It’s just not a great Pats team or defense this year. However, Darnold?-Osweiler/Tannehill-J. Allen on the schedule Weeks 12, 14, 16…three weeks of solid DST play. Find something else Weeks 11, 13, 15. -- The Titans-DST has suddenly become the ‘it’ defense to have. #6 in yards per game allowed. The problem for them…low sacks (#18) and INTs (#19). The upside is…the schedule after Week 11…Weeks 12-16: @HOU, NYJ, JAX, @NYG, WSH. You can start them every week from Week 12 on. Week 11 vs. Indy may not be horrible either, just not favorable. Week 14 they host Jacksonville on TNF…that should be OK, but not ideal for any Mariota-Davis thoughts. However, the Jags may be toast by then. Weeks 15-16 are OK/good…Week 16 vs. the Redskins defense isn’t ideal. The Pats Weeks 14-16 is at MIA, at PIT, BUF. The good news is that the Patriots should be pressing every game. Playing for the #1 seed or holding off PIT for the #2 seed.